Commercial Construction Services - Ritchey Enterprises, Inc. Full-service commercial contracting with unlimited licenses in the Southeast and Midwest United States. REI specializes in renovations, remodels and paint/carpet for retailers, restaurants, financial institutions and hotels. Our comprehensive approach to serving clients provides a single point of contact for regional remodels and construction needs. 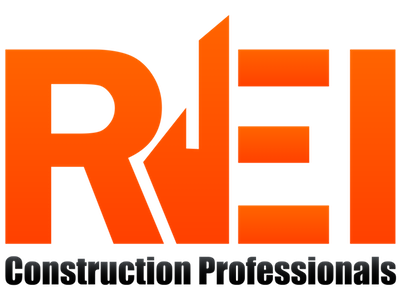 REI offers a strong subcontractor base throughout the Southeast and Midwest as well as in-house tradesman. Our team offers expertise in executing renovation, maintenance and compliance projects with expertise in the commercial and hospitality sector. Our ability to perform various scopes of work with relentless reliability allows our clients to focus on the big picture while we get the job done. REI’s development team offers single tenant build-to-suit developing services Nationwide. This helps by providing in-house real estate development which includes legal, design, and construction management services. We specialize in turnkey, single tenant projects as well. REI directly attributes its success to be being constructors rather than brokers. Our goal is to be a developer that provides real value, as we understand that we’re only successful if you succeed as well. Shifting the capital obligations, risk of development and land ownership in order to help our clients successfully achieve their expansion goals. Providing a single source for site selection and approval, contract negotiation, legal and title review, site investigation, design, lease preparation, value engineering, cost tracking and project management throughout the construction process. Services may be provided as related parts to an overall developer program, or as a seamless add-on to a client’s existing organization. The ability for our Clients to leverage their own internal groups, while REI provides true turnkey projects for single tenant stores. Ten, fifteen and twenty year NNN leases fashioned to accommodate the client’s needs in the current marketplace. Check out more about us!